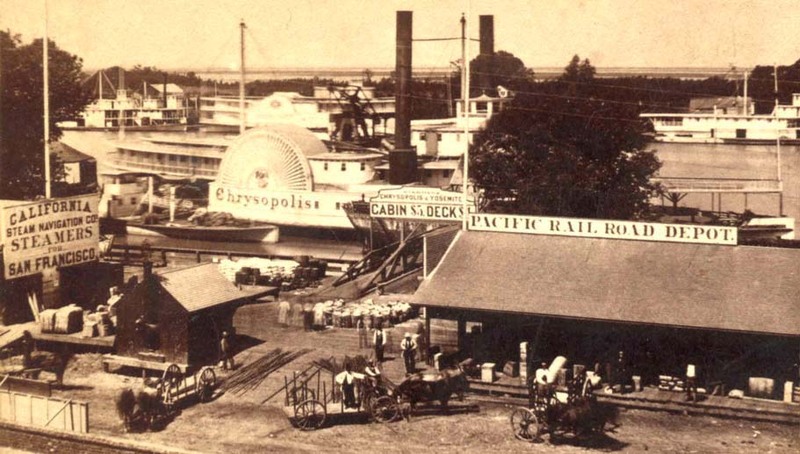 CPRR Depot, Sacramento, California (detail of A. 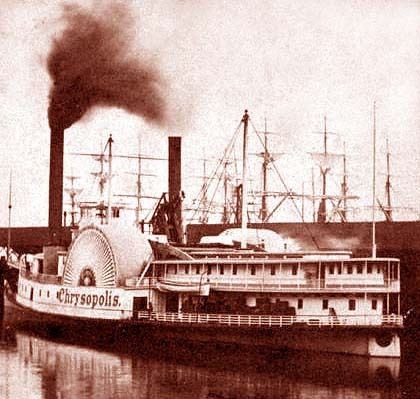 A. Hart Stereograph) showing Steamer Chrysopolis. 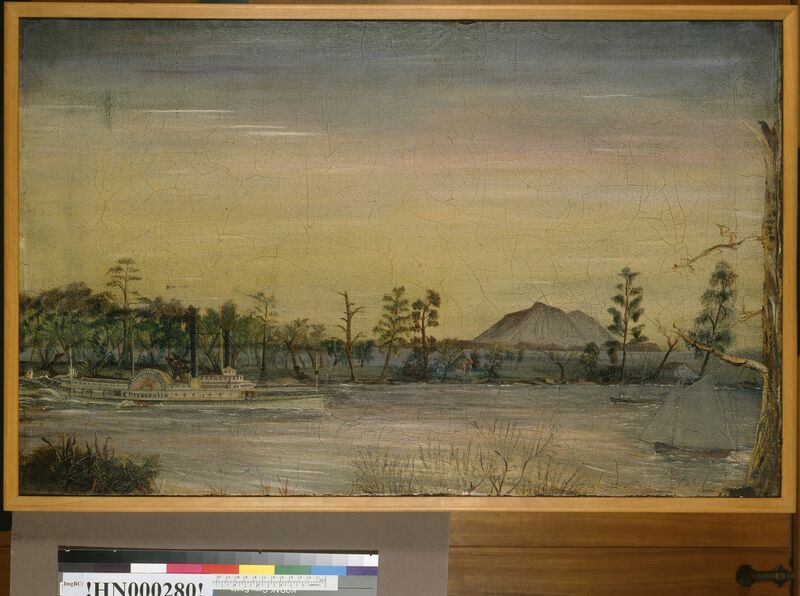 Courtesy Dana Scanlon Collection. 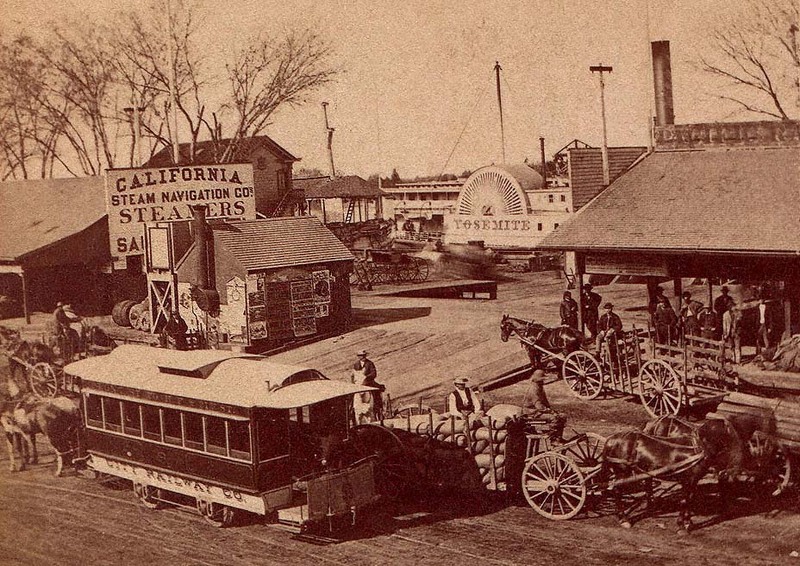 CPRR Sacramento Depot, showing Steamer Yosemite. Hazelton Stereoview detail. Courtesy Steve Heselton Collection. Destroyed: 1940, scrapped out then burned. Comments: until 1930, was ferry boat between San Francisco and Oakland. 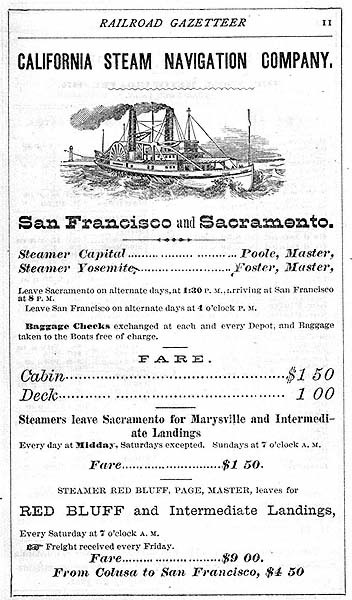 Advertisement in the Pacific Coast Railroad Gazetteer, 1870.